Ricky Martin, Brooks & Dunn, Tim Robbins, Cate Blanchett, Howie Mandel and George Harrison are among the celebrities being enshrined next year with Hollywood Walk of Fame stars. Hollywood's honorary mayor Johnny Grant announced the list of 2008 inductees on Wednesday, noting recipients were chosen from hundreds of nominations received by the Walk of Fame Committee. 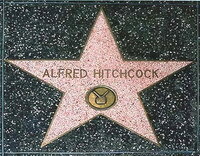 Sidewalk stars are given to entertainers in motion pictures, television, live theater and recording. Directors of the committee selected recipients and the Hollywood Chamber of Commerce board ratified the selections on June 8. "I am happy to announce an array of celebrities who have earned this recognition for a combination of professional achievement and community involvement," Grant said. MOTION PICTURES: Angela Bassett, Cate Blanchett, Stan Lee, The Munchkins (from "The Wizard of Oz"), Tim Robbins and The Westmores of Hollywood, a longtime show business makeup family. TELEVISION: Bill Geist, Kate Linder, Howie Mandel, Sherwood Schwartz, Vince McMahon, Susan St. James and, posthumously, Brian Keith. RECORDING: Christina Aguilera, Brooks & Dunn, Ricky Martin, Red Hot Chili Peppers and, posthumously, George Harrison. LIVE THEATER/LIVE PERFORMANCE: Stephen Schwartz.